Alouette is, first and foremost, a club which is run for the members, by the members. We have no employees but instead have a dedicated committee, elected by the members, who are responsible for running the club. This reduces our overheads and allows us to keep the cost of flying down, an all-important consideration in these days of rising prices. 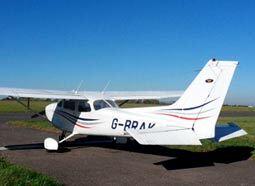 Our flying rates are still among the cheapest in the South East of England. We offer trial flights of one hour duration with a qualified instructor and the recipient will spend most of this time at the controls of the aircraft. 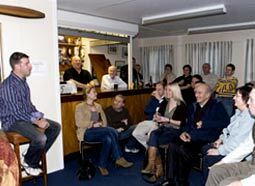 The flight will be from our club house at Biggin Hill and will return to Biggin Hill. Want to find out what is going on at the club? You can view video diaries from Alouette pilots as well as details about social events, our club grub nights and other important club information on our ‘latest news’ page. Flying to Solent Airport, and back, on a cold and snowy winters day. Alouette Merchandise direct from the supplier! Alouette full flying members can log into the online booking system to reserve one of the club’s aircraft.